360 Panoramic viewer is a free opensource panoramic image viewer built with the unity game engine. This was Built because of the lack of not only a free, but open source software. The source code is available under the MIT License and includes the unity project it was built it. -Fixed an Null exception error where a image which is attempted to be loaded times out due to connection issues causing a red/white background to appear. 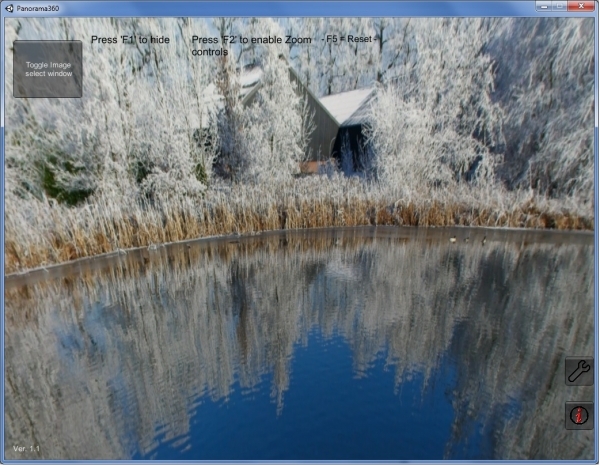 -Added a Image radius slider for low resolution images. -Added a Light slider for dark/bright images. -Added ability to manually adjust light range.